We are a TeamCME Clinic! Drivers are our Priority! Pass Your CDL Physical Exam! Dr. Knuuttila knows how important it is that you continue your livelihood as a commercial driver. With his extensive knowledge of the DOT Physical Exam medical guidelines, Dr. Knuuttila will steer you through the DOT Physical Exam requirements so you can Keep on Truckin’. Looking for a DOT Physical Exam or CDL Physical Exam in Bridgeton, MO? You’ve come to the right place! Our office is conveniently located at the intersection of highways 270 and 70. Just get off either highway onto St. Charles Rock Road and we are in front of the Depaul hospital. Parking at office is large and will accommodate large commercial vehicles. Monday 9:00am- 4:00pm, Tuesday-Friday 9:00am- 5:30pm, Walk-ins accepted, Saturday - Before and after hours are available. Please call for those times. Our office is conveniently located at the intersection of highways 270 and 70. 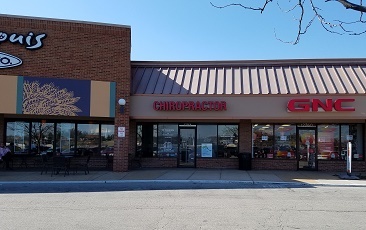 Just get off either highway onto St. Charles Rock Road and we are in front of the Depaul Hospital right next to the Saint Louis Bread Co.
Dr. Timothy Knuuttila is a Certified Medical Examiner in the National Registry. Drivers are out priority! Dr. Knuuttila has a bachelor of Biology from Logan University in Chesterfield Missouri. He continued his education for a doctor's degree in Chiropractic from Logan University. 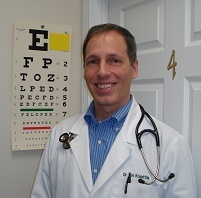 He has been in practice for 24 years and has seen over 10000 patients in his office. Dr. Knuuttila does over a thousand physicals and drug tests a year. After he trained with Department of Transportation and became a National Registry Certified Medical Examiner, he decided to dedicate his practice to a group of professionals in which our economy is dependent on. Our CDL physical exams are performed with safety in mind for the driver, the motor carrier, and the public. For drivers with medical conditions, we know how to "steer" drivers thru the medical guidelines so they can safely continue to drive. Gaunya Chiropractic Cresco Chiropractic Clinic P.C.